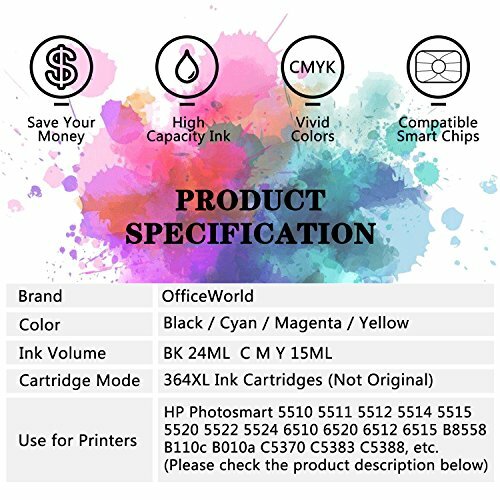 Cost Effective: Great value OfficeWorld 364XL ink cartridges with reasonable price for daily use such as school, work, and home printing. Premium Quality: Easy to Install. Smooth printing without clogging. Clear printing quality and vivid color. Superb Customer Service: If you're not 100% satisfied, simply contact us at any time and receive a new replacement or full refund for your purchase. Looking after our customers is our #1 priority so buy with confidence today.